Brewing tea is an art form. From Japanese matcha green tea to South American yerba mate, you need the right tools if you want to brew your cuppa the right way. A great cup of tea starts by selecting the best quality tea leaf. The process is finessed and tea truly shines when it is brewed using the right tea tools. Most casual tea drinkers are familiar with the standard tea making tools such as glass teapots and ceramic tea cups. All you have to do is heat up the water in the pot or tea kettle, pour into your mug and add a tea bag. But what about if you want to brew tea using loose leaves? That's where tea infusers come in. These nifty little tools are essential to making a high quality cup of tea. Tea infusers are devices that are designed to hold loose tea leaves for brewing and steeping. Tea infusers are typically placed directly into the teapot or inside a tea cup or travel mug. Tea mugs typically feature a built-in tea infuser, making these mugs an all-in-one loose leaf tea makers. Some tea infusers have larger holes and need to be used in combination with a strainer to remove certain spice or grain based teas. Tea infusers are often called tea balls, tea makers, and tea eggs. These tools gained popularity in the early 19th century and are part of almost every tea aficionados arsenal today. Tea infusers are typically made of mesh or perforated metal materials. They are most commonly made with stainless steel or silicone since these materials are heat resistant. Most tea infusers are shaped like balls with a small metal chain to allow for easy removal from hot cups. Other varieties include spoon-shaped mesh tea infusers and tea balls with long handles for larger pots. Most tea aficionados will tell you that loose leaf tea is better quality and their preferred choice when it's time to brew tea. That's because tea bags often contain broken or partial leaves in the bags. These bits and pieces are known as tea fannings and dust. Which contain less of the potent polyphenols and antioxidants that make tea good for your health. In general, tea bags are also tightly packed. The lack of space within the tea bag does not allow the tea leaves to expand and release flavor. This means that many teas from bags lack bold flavors and can taste bitter or bland. The resulting brew from tea bags is often a subpar flavor and less enjoyable tea experience. 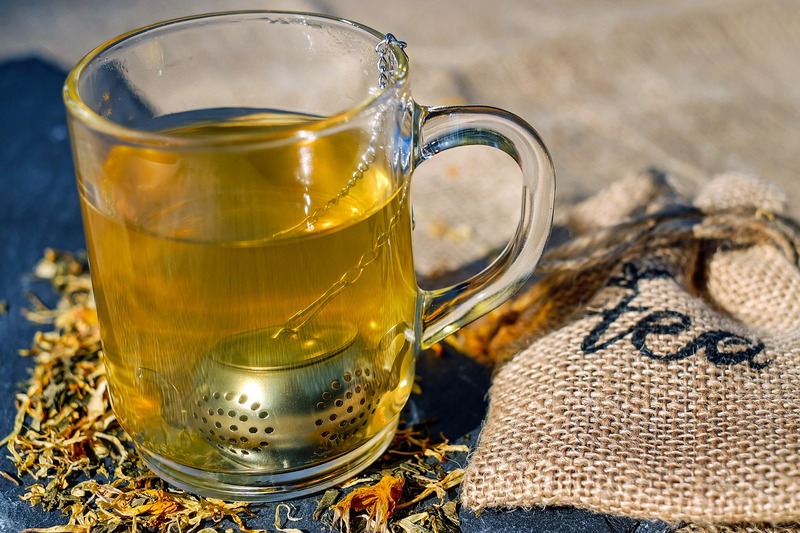 Loose tea on the other hand packs a bigger punch when it comes to flavor and health benefits. The full leaves are chock full of chemical compounds and antioxidants that help you fight off colds, protect brain health, and boost heart health. In order to brew a healthy cup of tea using loose leaves, you'll need a tea infuser. 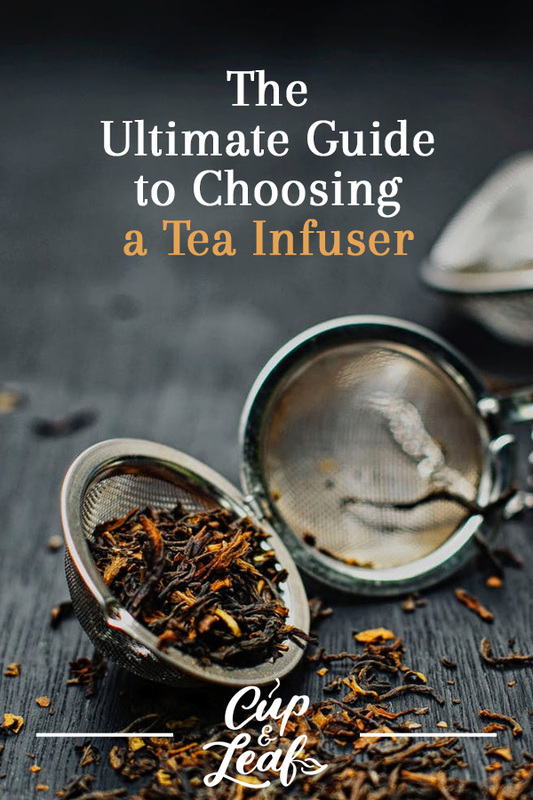 Selecting a tea infuser seems like a simple task, but it can actually be a bit complicated. Some tea masters believe that tea infusers inhibit the release of flavors and prefer to brew tea using only the leaves. They then use a tea strainer to remove the leaves before consuming. 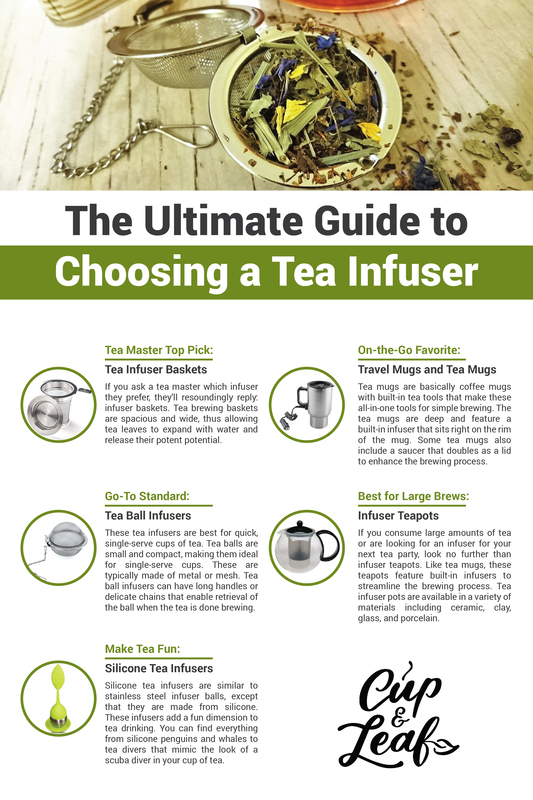 This can largely be avoided by selecting tea infusers that are large enough to allow tea leaves to expand and deliver flavor. Having a high quality tea infuser can still provide the same level of flavor without the need for a strainer. Tea infusers come in several different varieties, but whichever one you choose, make sure it is large enough to allow the leaves to expand fully. There are several different types of tea infusers — all with their own pros and cons. Here, we've broken down the different types to help you decide which one best suits your needs. If you ask a tea master which infuser they prefer, they'll resoundingly reply: infuser baskets. Tea brewing baskets are spacious and wide, thus allowing tea leaves to expand with water and release their potent potential. In general, the bigger the basket, the better the flavor of the tea will be. Just make sure to use the right amount of leaves and brew at the correct water temperature for your desired tea type. These tea infusers are best for quick, single-serve cups of tea. Tea balls are small and compact, making them ideal for single cups. These are typically made of metal or fine mesh. Tea ball infusers can have long handles or delicate chains that enable retrieval of the ball when the tea is done brewing. Tea masters do not prefer tea balls because the balls are often small and prevent the full flavor profile from developing. If you do choose to use a tea ball, look for one the is oval shaped or large to allow the leaves to expand. Silicone tea infusers are similar to stainless steel infuser balls, except that they are made from silicone. These infusers add a fun dimension to tea drinking. The malleable nature of silicone means these infusers come in a wide array of shapes and sizes. Silicone infusers liven up tea time with out-of-this-world designs. You can find everything from silicone penguins and whales to tea divers that mimic the look of a scuba diver in your cup of tea. There are also an array of colors from cork brown and pale pastels to vibrant jade and neon pink. On the downside, they tend to have the same problem as tea balls in not fully developing tea flavors. Some people also feel that the silicone can leave behind a plastic flavor. Make sure to look for brands such as Fred & Friends — famous for the Mr. Tea infuser — which are BPA-free to reduce the risk of harmful chemicals. These loose tea infusers are popular because of their simplicity and ease of use. You can brew a cup of tea and bring it toy our bedroom or hit the road, all while enjoying your favorite cup of tea. Tea mugs are basically coffee mugs with built-in tea tools that make these all-in-one tools for simple brewing. The tea mugs are deep and feature a built-in infuser that sits right on the rim of the mug. Some tea mugs also include a saucer that doubles as a lid to enhance the brewing process. There are both travel infuser water bottles and home versions so you can choose the one that best fits your life. Many of these travel infusers are also dishwasher safe, making clean-up a breeze. If you consume large amounts of tea or are looking for an infuser for your next tea party, look no further than infuser teapots. Like tea mugs, teapot tea infusers feature built-in infusers to streamline the brewing process. Tea infuser pots are available in a variety of materials including ceramic, cast iron, clay, glass, and porcelain. Again, make sure to choose a pot that has the largest tea filter possible for the best flavors. You can use a French press to brew a delicious cup of tea without fancy tools. Just add the tea leaves to the bottom of the French press and fill with boiling water. Place the lid on top and steep for the recommended time period. Use the handy lid to press the leaves to the bottom of the unit before serving. You can use a drip tray to prevent spills if desired. Tea infusers, like other tea tools, are meant to not only make your tea taste better, but to add to the presentation. Serving up a tea party in your backyard becomes much more glamorous when you have the proper brewing tools. A fancy tea infuser or tea set can dress up your next event or make tea time in your home extra special. You can pair tea sets with colors in your home decor or wall art for a cozy book club afternoon. 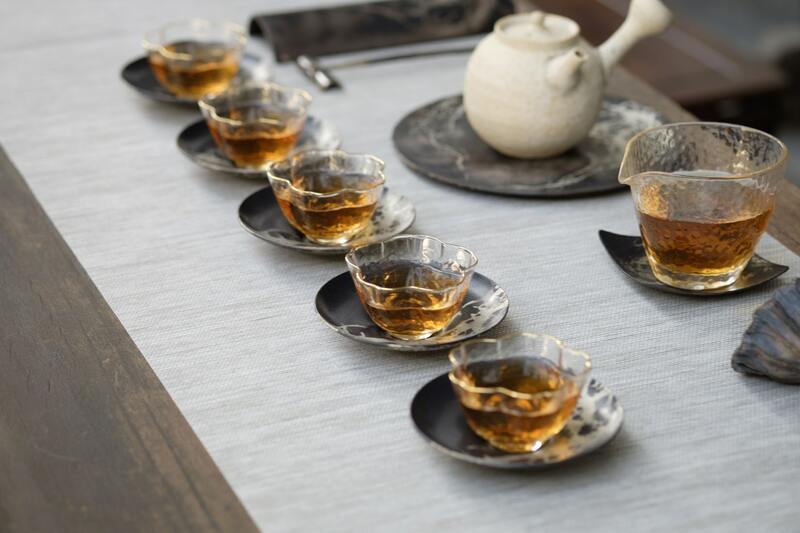 Alternatively, using ceramic or porcelain cups in combination with a stainless steel mesh tea basket enhances the effect of a traditional tea ceremony. Tea infusers are also great gift ideas for the tea lover in your life. They can be purchased individually or as part of tea gift sets if you want a cohesive look. You don't want to use just any old tool to brew your tea. Having a high quality tea infuser can make all the difference when it comes to brewing tea. These tea tools enable you to make large pots or single serve portions of your favorite brew, just like coffee makers. Just add the correct amount of leaves to the infuser and combine with hot water or boiling water. Brew up your favorite cup of herbal tea or true tea and enjoy the joys of a tea infuser. Tea time is tastier when you master the art of tea making and brew your tea using the right tools. If you love to drink tea, head on over to our shop to get your hands on tea & accessories including infusers today.